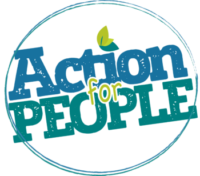 Action for People aim to provide the most user friendly and accessible experience possible, to all users. The information we provide is relied upon by thousands of families across the UK. To ensure we deliver the information and advice you need, we need your help. If at any point you find yourself having difficulty using this site (or one of our partner sites) then please contact us. Wherever possible we follow the guidelines given by the W3C in the WCAG 2.0. All the images on this site include descriptive alt attributes. Images purely for aesthetic purposes don’t have alt attributes at all. Forms on this site follow a logical tab order. This site uses stylesheets for visual layout. If your device does not support stylesheets at all, well structured semantic markup ensures that the content of each page is still readable and accessible.